Rebecca Evans' forthcoming operatic engagements include Nella Gianni Schicchi, Angelica in Handel's Orlando and her first Marschall in Der Rosenkavalier. Recent highlights in her calendar have included the title role in a new production of Rodelinda at the English National Opera, Contessa Almaviva Le nozze di Figaro at Covent Garden and concert appearances with the Leipzig Gewandhausorchester and Blomstedt, the London Symphony Orchestra with Gardiner, the Hallé Orchestra with Elder and the Accademia Santa Cecilia with Pappano. A regular guest at Covent Garden, her roles in the house have included Mimi La bohème, Pamina Die Zauberflöte and Despina Così fan tutte. At the Bayerische Staatsoper, Munich she has sung Ginevra Ariodante, Ilia Idomeneo and Susanna Le nozze di Figaro. Elsewhere she has sung Despina at the Deutsche Staatsoper, Berlin; Ilia for the Netherlands Opera and Romilda Xerxes, Ginevra and Governess The Turn of the Screw for the English National Opera. A favourite at the Welsh National Opera, her roles there have included Mimi, Contessa Almaviva, Liu Turandot, Pamina, Ilia and Gretel, Hänsel und Gretel. She has also established a major operatic career in America where she has sung Susanna and Zerlina for the Metropolitan Opera; Susanna at Santa Fe; Pamina for the Lyric Opera of Chicago and Zerlina, Anne Trulove The Rake’s Progress and Adina L’Elisir d’Amore for the San Francisco Opera. She has appeared at the Salzburg, Edinburgh, Tanglewood and Ravinia Festivals and she is a regular guest at the BBC Proms. A Grammy Award winning artist, she has recorded prolifically. ​Rebecca Evans is patron of several charities, among them Shelter Cymru, Ty Hapus and Music in Hospitals Cymru/Wales. Kate is one of Wales' most popular mezzo sopranos. The rich, sumptuous beauty of her voice combined with an engaging personality has ensured her success on both the operatic and concert platform. 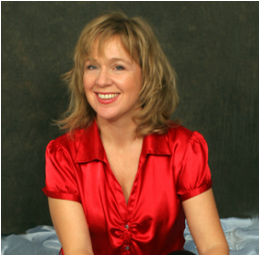 During her career she has worked extensively with the Welsh National Opera as well as Glyndebourne, English National Opera, Wexford Festival Opera and Swansea City Opera, Travelling opera and opera box. She has won numerous awards, recorded regularly for television and has given hundreds of concerts and recitals across Great Britain. Concert venues include the Wigmore Hall, The Royal Festival Hall and Purcell rooms, St David’s Hall, Cardiff, Birmingham town hall, Cheltenham Town hall the Colston Hall, Bristol as well as The Kennedy Centre, Washington D.C. She has been a guest at the Music Festivals of Llangollen, Cheltenham, St Davids and Harrogate and performed in the cathedrals of Worcester, Gloucester, Coventry, Llandaff, Salisbury, Winchester and Tewkesbury abbey. ​Kate has more recently made a name as a vocal animateur and has run many community singing projects involving adults and children for Welsh National Opera, The Royal Opera House and Opera Holland Park. She has given workshops in singing across the UK and has worked with the women in Holloway prison and has set up a male voice choir in the biggest male prison in Wales. She was awarded the Inspirational Woman Of the year 2102 for her work with The Forget-Me-Not chorus for dementia sufferers and their carers. She teaches singing at the Royal Welsh College Of Music and Drama. 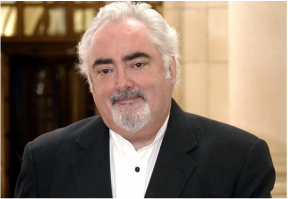 Born in Wales, Dennis O'Neill has enjoyed a long career as one of the world’s leading Operatic tenors appearing for all the leading companies of the world. He has specialised in the works of Verdi and has sung twenty-one of his roles. He was awarded the 2005 Verdi Medal by the Amici di Verdi in recognition of his work. He studied privately with the renowned Frederick Cox in Manchester and London, in Mantua with Campogalliani and in Rome with Ricci. He has enjoyed a long association (over two hundred peformances in leading roles) with the Royal Opera House, Covent Garden. His many roles have included Rodolfo (La Bohème), Duca (Rigoletto), Pinkerton (Madama Butterfly), Edgardo (Lucia di Lammermoor), Macduff (Macbeth), Gustavo (Ballo in Maschera), Foresto (Attila), Otello, Don Carlos, Radames (Aida), Aroldo, Carlo (Giovanna d’Arco), Jacopo (I due Foscari), Canio (Pagliacci) and Eleazar (La Juive). For the Metropolitan Opera he has appeared as Alfredo (La Traviata), Rodolfo (La bohème), Radames (Aida), Duca (Rigoletto), Calaf (Turandot) Turiddu (Cavalleria Rusticana) and Canio (I Pagliacci). Other North American engagements have included Chicago Lyric Opera, San Francisco, San Diego, Vancouver Opera and concerts with the Philadelphia, Cleveland, Montreal, Cincinnati and Ottawa Symphonies. He has also appeared in several South American Opera houses. A frequent guest at the Bayerische Staatsoper, Munich, his debut in Ballo in Maschera was followed by Manrico (Il Trovatore) in a new production conducted by Sinopoli, and then by Der Rosenkavalier, Tosca, Lucia, Simon Boccanegra, Aida and the title role in Otello conducted by Zubin Mehta. For the Vienna State Opera (Boheme, Butterfly, Turandot, Traviata, Ballo in Maschera, Trovatore). He has performed extensively throughout Europe at Opera Houses and Festivals, including Vienna, Berlin, Bonn, Cologne, Hamburg, Mannheim, Dresden, Hanover, Leipzig, Munich, Weimar, Halle, Dublin, Edinburgh, Paris, Nice, Marseilles, Rotterdam, Amsterdam, Antwerp, Stockholm, Oslo, Bergen, Copenhagen, Zurich, Geneva, Athens, Brussels, Antwerp, Barcelona, Madrid, San Sebastian, Oviedo, Lisbon, Porto, Milan, Rome, Bologna, Turin and at the Arena di Verona. He has retained a close and special relationship with the Welsh National Opera, for whom he has also served as a member of the board. Dennis O'Neill is a busy concert artist and has sung with conductors including Muti, Sir Colin Davis, Sinopoli, Rattle and Pritchard. Notable concert performances have included Idomeneo with Sir Charles Mackerras at the BBC Proms, the opening of the Proms with Sir John Pritchard, Oberto and the Verdi Requiem at theEdinburgh Festival, Aida in Tel Aviv with Mehta, Le Damnation de Faust at the Paris Opera with Dutoit, Tosca in Cleveland with Slatkin ,the Dream of Gerontius with Svetlanov and Berlioz Te Deum with Abbado in London. He has given recitals at Covent Garden and La Monnaie in Brussels and concerts as far afield as Sao Paolo in Brazil, Moscow, St Petersburg, throughout Australia and performed in concerts before members of the Royal families of Sweden, the United Kingdom, Norway, Spain and for the late Pontiff, John Paul the Second. Dennis O'Neill's own television series for the BBC were enormously popular (the accompanying recording went to the top of the classical record charts) and he subsequently completed a three part televison series on Caruso. His many recordings include solo albums, videos of Der Rosenkavalier with Solti, Die Fledermaus with Kiri te Kanawa conducted by Placido Domingo, Macbeth with Sinopoli, and Mefistofele from San Francisco. Recent releases include La fanciulla del West (Slatkin on BMG/RCA), Verdi's Requiem (Colin Davis on BMG/RCA) and with Simone Young for ABC, Tosca, La bohème, Cavalleria Rusticana, I Pagliacci, Trovatore, Aida, Turandot and two solo discs of operatic arias, an anthology in three discs of Italian Songs b Bellini, Donizetti, and Verdi.and a recital of the songs of Liszt. He has visited the Sydney Opera House where he has sung performances there of Cavelleria Rusticana, Pagliacci, Tosca , Otello, and Il Trovatore. Other recent appearances include Otello in Hamburg, Brazil and Munich, Aida in Munich and Dresden, Ballo in Lisbon, La Gioconda in concert for ENO, Turandot at the Met and Covent Garden, Ballo in Rome, Aida in Munich and Catania, Norma in Barcelona and a tour of the Verdi Requiem with La Scala and Muti, and The Dream of Gerontius in Munich with Mehta. Dennis O’Neill was appointed Commander of the British Empire (CBE) for services to Opera and many other acknowledgment include the prestigious honorary membership of the Royal Academy of Music. (Hon.R.A.M) and the Order of St.John. He is deeply involved with the education of the younger generation of Opera Singers, having given masterclasses throughout the World, specialising in the Italian repertoire and bel canto technique. He is a visiting professor at the Royal Academy of Music and at the Royal Opera’s Young Artist’s Programme, Director of the Wales International Academy of Voice at the University of Wales Trinity Saint David, and is a frequent adjudicator at international singing competitions. Tenor Robyn Lyn Evans is from Ceredigion in mid Wales and is a postgraduate of the Royal College of Music, London; graduate of Trinity College Carmarthen, and a recipient of the Stuart Burrows bursary. Robyn’s singing career began in the Eisteddfod competitions of Wales with highlights including the National Eisteddfod of Wales scholarship, International Young Singer of the Year Llangollen International Eisteddfod, Osborne Roberts Memorial Prize, Lampeter Eisteddfod Blue Riband; runner-up W Towyn Roberts Memorial Scholarship and culminating with the David Ellis Memorial Prize in 2007. Opera credits to date include Rodolfo, La Bohème (ENO, ETO & Opera Project); Don José, Carmen, Alfredo, La Traviata and Macduff, Macbeth (Scottish Opera); Ismaele, Nabucco, Lord Hervey, Anna Bolena and (c) Leicester, Maria Stuarda (WNO); Don Ottavio, Don Giovanni (ETO); Il Duca, Rigoletto (Longborough & Pavilion Opera); Malcolm, Macbeth and (c) Tebaldo, I Capuleti e I Montecchi (Opera North); Pinkerton, Madam Butterfly (Raymond Gubbay); Rinuccio, Gianni Schicchi and Fenton, Falstaff (Opera Project); Nemorino, L’elisir d’amore and Alfredo, Die Fledermaus (Pavilion Opera); Gérald, Lakmé and Prince, Rusalka (Swansea City Opera); Ernesto, Don Pasquale (OPRA Cymru) and Ferrando, Cosí fan tutte (Hand Made Opera). He can be frequently heard on the concert platform with countless performances from the oratorio repertoire and appearances which have taken him to the Royal Albert Hall, Royal Philharmonic Hall Liverpool, Usher Hall Edinburgh, St David’s Hall Cardiff, as well as guest soloist with numerous choirs touring throughout Europe. Upon leaving his first career as a fireman he took up studies in London at Trinity and the Royal Colleges of music with John Wakefield and Norman Bailey respectively. He commenced his career at Scottish Opera, subsequently singing with all the major UK opera companies and orchestras. In the past fifteen years as well as his UK performances he has sung to critical acclaim throughout Europe and North America. In the winter of 2009, nineteen years after his performances of Ravenal in the RSC/Opera North production of Showboat he finally returns to the stage musical with performances of Emile de Beque in the Lincoln Center Theater production of South Pacific. In 2010 Jason returned to the heroic baritone repertoire with his first Scarpia in Salzburg, his first Iago in Otello in America and in 2011 made his German debut at Frankfurt Opera singing Baron Scarpia in Puccini's Tosca. Verdi Requiem, the opening performance of the 2016 Welsh Proms Cymru, will take place on Saturday July 16th with the Welsh National Opera Orchestra and Welsh Proms Festival Chorus, conducted by Owain Arwel Hughes CBE.